Keith Arlington "Butch" Androski, age 81 of Harned, KY died Friday, 4-5-2019 at Breckinridge Memorial Hospital. He was born in Superior, Wisconsin on August 11, 1937, the son of the late Edward and Mabel Androski. 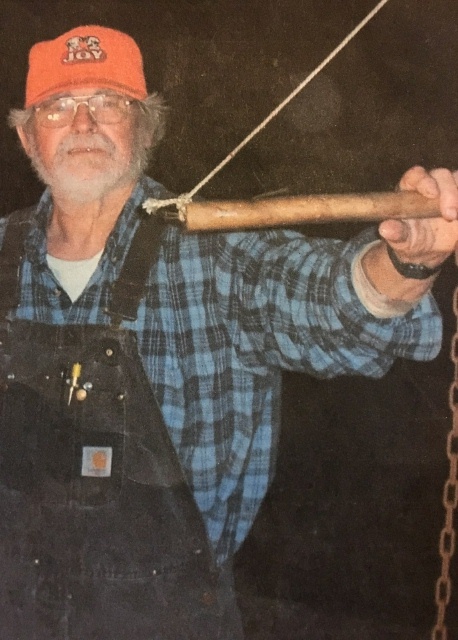 He was the retired owner and operator of a body shop, retired from Iron Workers Local 70 and was a former member of the Breckinridge County Moose Lodge. He was a veteran of the United States Army and a member of the Catholic faith. He loved his family, especially his grandchildren. He enjoyed hunting, farming and his cats. Funeral services will be held at Trent-Dowell Funeral Home 308 South Hardin Street Hardinsburg, KY 40143 on Monday, 4-8-2019 at 4 PM central time with Fr. Brian Johnson officiating. Burial with military honors will be in the Shumate Cemetery near Custer, KY. Visitation will begin at 11 AM central time on Monday.